In the past decade, counterterrorism measures have had an increasingly adverse impact on the provision of medical care and the conduct of principled humanitarian action in armed conflict settings. Whether inadvertently or not, they have impeded, and at times prevented, the provision of essential and lifesaving aid, often in violation of international humanitarian law (IHL). All UN resolutions and other UN and national policies that pertain to counterterrorism should contain an exemption for humanitarian activities. Every relevant UN counterterrorism measure should continue to reiterate that counterterrorism efforts need to comply with international law. Humanitarian actors should engage with UN counterterrorism structures more actively, strategically, and systematically. UN bodies that engage in counterterrorism should systematically include humanitarian actors in relevant conversations. 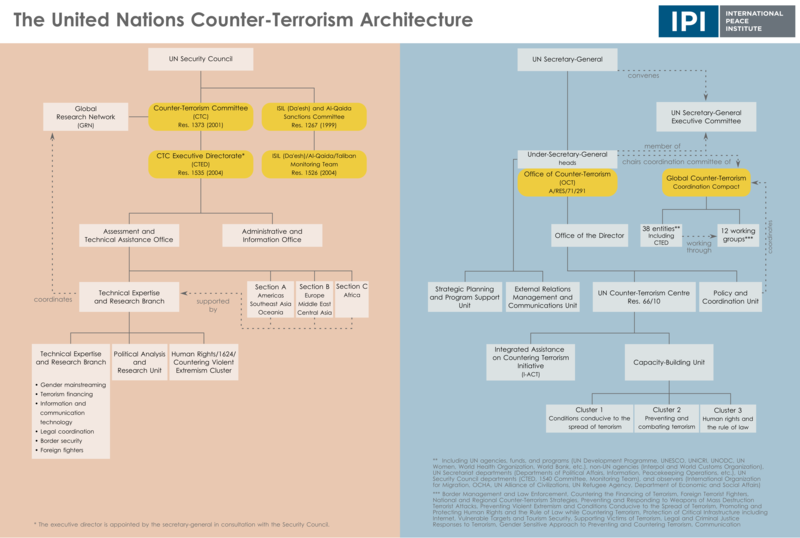 The UN Counter-Terrorism Committee’s Executive Directorate and Office of Counter-Terrorism should better integrate IHL considerations into their work. Member states, UN entities, humanitarian actors, counterterrorism and sanctions experts, and other stakeholders should step up efforts to start a wide political discussion on tensions between counterterrorism and humanitarian action.